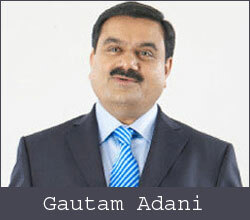 Gautam Adani-led Adani Power Ltd has struck a deal to buy Avantha Power & Infrastructure Ltd's 600 MW thermal power project Korba West Power Co Ltd (KWPCL) for an enterprise value of Rs 4,200 crore ($680 million), as per a stock market disclosure. "This is the time for consolidation in the Indian power sector; and as a leading private power producer, Adani Power, has taken the lead in acquiring power assets which are strategic fit to the group businesses and potentially at the lowest end of the cost curve. This acquisition consolidates our pan-Indian presence and further re-affirms our belief in the reforms processes under way in the power and coal mining sectors,” said Gautam Adani, chairman of Adani Group. "The acquisition of KWPCL expands our footprint in India particularly in the coal mining belt of India and we are bullish of expanding our presence further in the country. We are committed contributing towards India's growth and confident of achieving our target of generating 20,000 MW by 2020," he added. Adani Power, a subsidiary of Adani Enterprise Ltd, has a current operational capacity of 9,240 MW, comprising 4,620 MW in Gujarat, 3,300 MW in Maharashtra and 1,320 MW in Rajasthan. This acquisition of 1,200 MW Udupi power plant, which it bought recently, and this new acquisition of KWPCL will increase its installed capacity to 11,040 MW. KWPCL's power project is located at Raigarh (Chhattisgarh) and the deal values it at approximately Rs 7 crore per MW. Adani Power had bought Lanco Infratech’s 1,200 MW thermal plant in Udupi (Karnataka) at an enterprise value pegged at a little over Rs 6,000 crore or around $1 billion, in August. This deal valued the asset at Rs 5 crore per MW. Deals in the power sector are based on various other factors including source of feed, links for the coal (for thermal projects) besides readiness of the plant among others. The latest transaction comes close on the heels of Adani Power missing out on a deal to buy Jaypee's hydro power asset, now being acquired by JSW Energy. Adani was first pipped by Reliance Power, which later backed down. JSW Energy has just announced a deal where it is buying two of the three operational hydro power projects of Jaypee Group for $1.57 billion. That deal as valued at just under Rs 7 crore per MW. Macquarie Capital acted as the sole financial services advisor to Adani Power on this transaction. In April this year, private equity firm 3i part exited its almost seven-year-old investment in Adani Power at a loss. Founded in 2005, Gurgaon-based Avantha Power and Infrastructure, a part of $4 billion Avantha Group, is a power generation company. It is part owned by various group firms of Avantha Group including public listed firms Bilt and Crompton Greaves. It is engaged in the implementation of various thermal power projects. The firm has two more power projects in Madhya Pradesh and another one in Gujarat is under planning stage.